Do you feel like you’ve worked as hard as you can, but for some reason you can’t seem to lose your belly fat? If you feel this way, you aren’t alone. Abbie Boudreau from Good Morning America helped explain why so many of us deal with this problem. 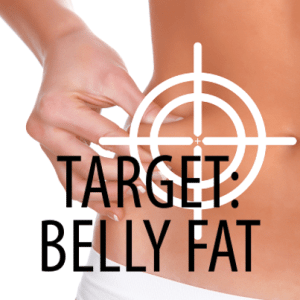 Are you doing the right exercises to get rid of your stubborn belly fat? Apparently, crunches do not help with belly fat. Yes, you read that correctly, crunches really don’t help get rid of belly fat. The problem is that crunches work the muscles underneath belly fat, but don’t make the fat on the top disappear. Instead, try exercises that lengthen and strengthen your entire body. Suggested exercises include the Superman pose, the Pike Plank, and even simple Side Bends can firm your oblique muscles. In addition to doing the right exercises, you also must make sure you’re eating a consistent and healthy diet, GMA said. Snack smarter, and cut back on all the processed foods. Protein and fiber are important components for blasting belly fat, so make sure to eat plenty of fruits, vegetables, and nuts. Overall, keeping your body healthy is the only way to truly get rid of belly fat. Talk to a physical trainer about making sure you’re doing the right exercises, cut back on processed foods, and make sure you’re getting plenty of sleep. When you treat your body right, your body will reward you.